← You can call me Hankster. 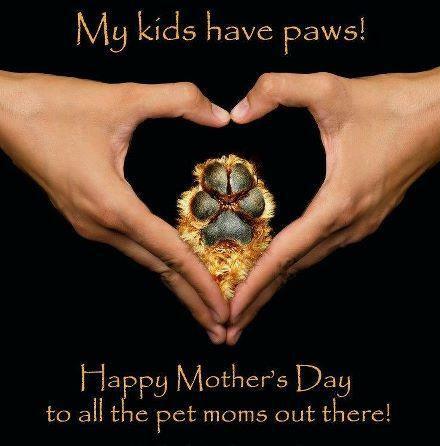 Happy Mother’s Day to all our Dog Guardian Mom’s! Thanks Mom for making us part of your family and in some cases looking past our faults, our disabilities, our illness’s, our odd combination of mixed breeds and our dark pasts. Thanks for reading the ingredient labels on a dozen different bags of dog food in the store before choosing one for me and then going back and reading them all again, when my tummy grumbles that night after dinner. Thanks for telling me to “sshhh” two dozen times without a timeout when I bark at the same rabbit in the front yard and only giving me a 15-minute time out when by accident I knock the lamp off the table in the living room when I spot a squirrel instead. Thanks for holding my paw when it is time to get my shots at the vet’s office. Thanks for patching up my favorite stuff toy repeatedly each time my little sister tears it open and spreads the stuffing all around the family room. Thanks for not becoming hysterical when I ate the padding out of your shoes or when I ate the laces out of dads. Thanks for all the cuddles when I am having a case of the blues and I just need a hug from my mom. Thanks for all the awesome toys, soft blankets, warm beds, gentle collars, harnesses and leads. 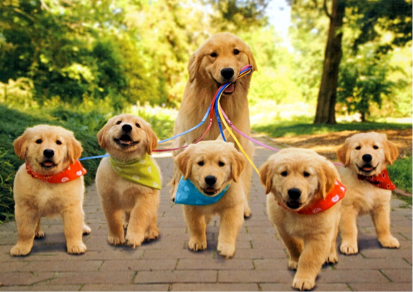 Thanks for wonderful human siblings to love, protect and have as playmates. Thanks for washing out my feed bowls, remembering to change my water, and keeping me well groomed and up to date at the vet. Thanks for replanting the flowers after I pull them up from the garden, filling in the holes when I dig and not banishing me from the yard, because I act like a dog. Thanks for the walks, swims, running, playing catch & fetch, going to school, competing in trials, competitions, shows, having play dates and socializing with friends and family. Thanks for understanding that although I would love to be all that you dream, “the perfect dog”, in reality I am not. In the end, you love me with all my faults. The barking, licking, tail whacking sniffing, sneezing, scratching, squirrel chasing, puddle pouncing, grass rolling, drooling, toilet bowl drinking, poop eating, counter surfing, shoe stealing, sofa hogging, hole digging, and nose and paw printing, get into everything and anything whenever possible dog. On the other side, I will be your never leave your side, loyal to the end, breath my last breathe for you, be part of your family like no other, best friend, love you to my end dog. Thanks Mom, you are the best! PS) Thanks for not minding that we shed a bit more than your human kids do too. This entry was posted in Canine Tales, General Information and tagged Adopt a Dog. Bookmark the permalink.